During the past few years, NYC has been going through an Asian food trend craze and the dessert scene is no exception. From rolled ice cream to taiyaki to matcha flavoured anything, it doesn’t seem like this trend is stopping anytime soon. 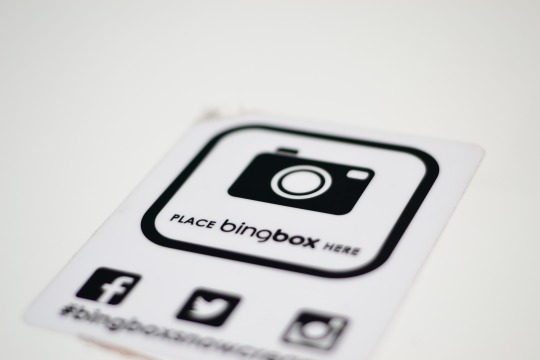 Our blogging team was lucky enough to be invited to try out a new member of the St Mark’s Club, “Bing Box”, that offers an innovative play on Korean shaved ice (bing su). Sure, you might be thinking “Oh ANOTHER one of these…” But trust me, this is something else. Okay, we have to start with the cute logo. 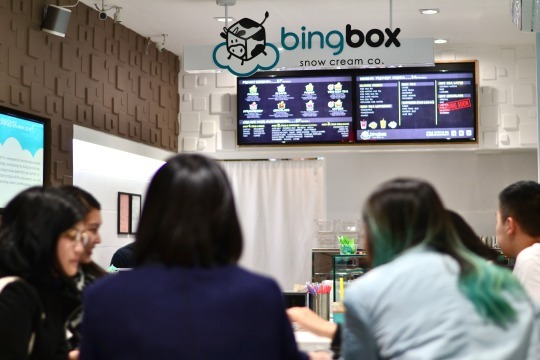 The square cow is exactly what Bing Box offers, flavour infused milk-based shaved ice served in a box. Usually bingsu is shaved ice covered with toppings to give it flavour and character. Bing Box uses a pre- flavoured mixture that turns from liquid form to light powder through a magic machine. What gives this an extra edge is the milk that’s added in, to make it creamy yet still lighter than ice cream (hence the phrase snow cream). Co-founder Scott explained how a trip to Seoul inspired him and his friends to bring a new and unique version of a summer time favourite to the table. Like many entrepreneurs, he started working in the corporate world before deciding to “just do it” and follow his passion. We were given samples of the honeydew bing box with fruity pebbles and waffle biscuits, and the lychee bing box with strawberries and mango. Each bite was like cotton candy, soft and fluffy, while melting immediately in your mouth. The generous serving given for a box was well worth the $7. Unfortunately the flavours we tried are not available on the current menu, but you really can never go wrong with Thai Iced Tea, Taro or Matcha. For those who are lactose intolerant, don’t worry, Bing Box doesn’t want you missing out either. The strawberry and mango bing bases have no dairy in it so you can enjoy one along with your friends. They’re also currently offering bubble tea (who doesn’t love that) and flavoured hot chocolate (nutella or raspberry anyone?? ), so there’s no excuse not to visit just because its getting cold!!! We know we’ll be back (: You can find them on Yelp, Facebook, and Instagram!